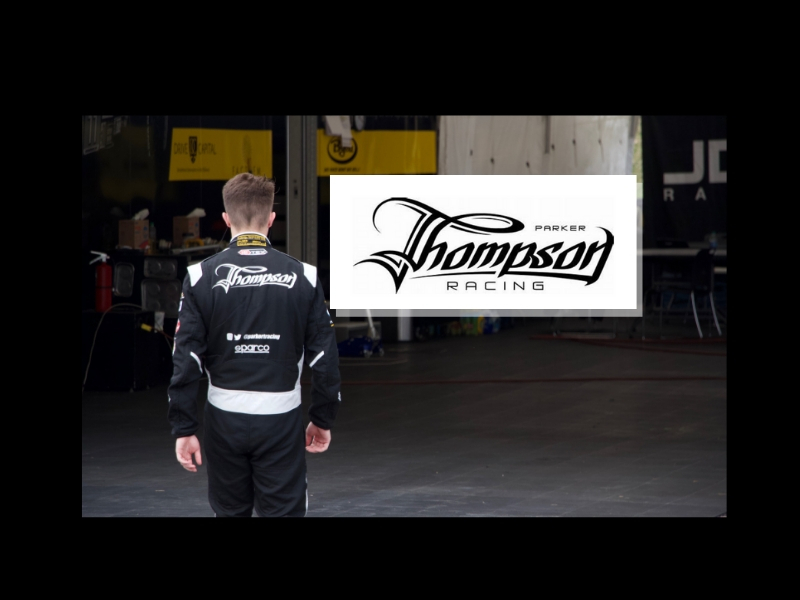 Todayville is a proud sponsor of Parker Thompson Racing! It just might have been the most incredible weekend yet for Red Deer Race Car Driver Parker Thomspon! His all Canadian race team Exclusive Autosport absolutely ripped up the track at Barber Motorsports Park in Birmingham, Ala. in historic fashion! For most of the weekend, Thompson’s competition was in his rear view mirror. Exclusive Autosport owned by Michael Duncalfe of Saskatoon, had Thompson’s Tatuus PM-18 in astounding shape. Not only did they score pole position for both weekend races, they also shattered the track record on each occasion! Thompson, who moved up a division to the Pro Mazda Championship Presented by Cooper Tires this season, lead the first race from start to finish. In his first win of the young season Thompson pulled well ahead of the pack finishing the race over 5 seconds before Englishman Harrison Scott and David Malukas, from Chicago, Ill., who held off the field for a third place finish. In race 2 Parker started in pole position but some surprising light rain caused trouble for his team as they prepared his car for dry weather. On the damp track, Thompson slipped behind 2 opponents. He managed to stay in 3rd position until late in the race when the leader went off track, moving Thompson up to 2nd position for his second straight podium finish. Friday afternoon Race 1 qualifying – Finished first and broke the existing track record. Saturday morning Race 2 qualifying – Finished first and broke his own record set less than 24 hours earlier. Saturday afternoon Race 1 – Parker lead from beginning to end.. scored a 5.225 second victory! Sunday morning Race 2 – Second place for second podium finish of the weekend. Oh Canada! Thompson and the Exclusive Autosport EH Team are leading the standings! Parker was carrying the decal of the Humboldt Broncos Jr ‘A’ hockey team, which lost 16 of its players and staff in a tragic motor vehicles accident on April 6. The Exclusive Autosport team has dedicated the win to the Broncos’ memory. Parker Thompson is in the championship point lead heading into races 5 and 6 which take place at the iconic Indianapolis Motor Speedway May 11th and 12th. For coverage of the Pro Mazda Championship Presented by Cooper Tires… visit Road to Indy TV, download the Road to Indy TV App or find dedicated broadcast channels on demand via Apple TV, Amazon Fire and Roku. Races are live streamed and live timed on promazda.com and racecontrol.indycar.com. Here’s race 1 where you can see Parker Thompson starting in pole and leading for the entire race… Parker is interviewed right off the top of the program as he waits for the race to start in pole position! And here’s race 2 at the Barber Motorsport park in Alabama.. where Thompson gutted out a second place finish. This short promo was produced by Parker Thompson Racing to celebrate a weekend of success in Alabama. Finally.. here’s a 12 minute long program called Road to Indy TV in which Parker makes 3 appearances..
Red Deer RCMP record some unbelievable speeds on city streets!